Returns for a special holiday engagement! November 29, 2013-January 5, 2014! 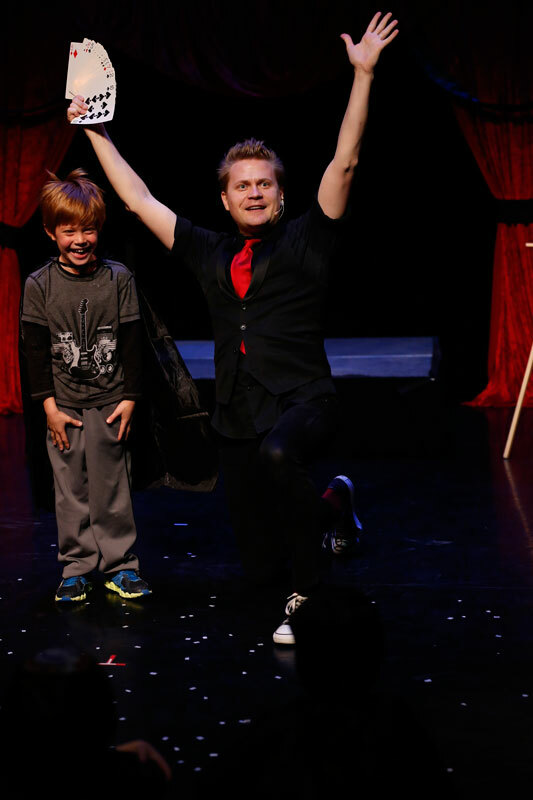 (New York, NY) Magician Max Darwin (aka The Amazing Max) and Producer Christine Cox announce the special holiday engagement of The Amazing Max and The Box of Interesting Things with a family friendly holiday performance schedule. 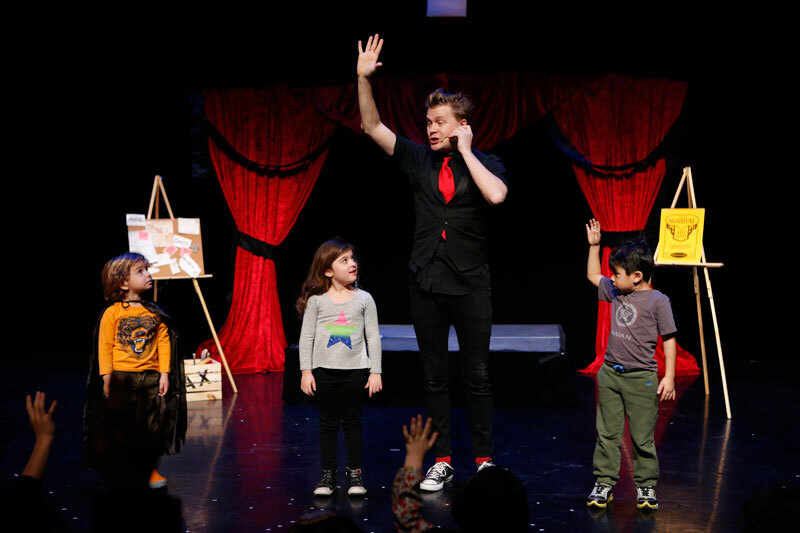 Back by popular demand, the beloved family magic show will return for a 6-week run, November 29, 2013-January 5, 2014. The Amazing Max and The Box of Interesting Things, is a perfect way to spend time with your family during the holiday season. Once again, Premium ticket holders will have access to the VIP magic lounge that opens 25 minutes before the start of each show. Inside the magic lounge, children receive Amazing Max memorabilia, participate in a magic lesson, and take home a magic trick! Additionally, Premium tickets include priority seating on the Magic Carpet for children. 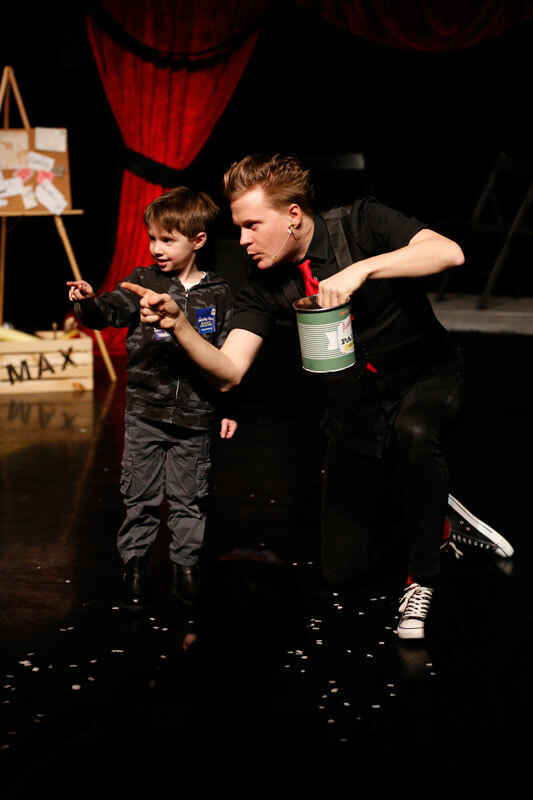 The Amazing Max and The Box of Interesting Things is performed at the MMAC Theater located in the Manhattan Movement & Arts Center at 248 W. 60th Street, NYC (between Amsterdam and West End Avenues) in the Lincoln Center area. Front row seats available on the Magic Carpet (Premium) $59.50, regular general admission tickets $49.50 – $34.50. Tickets are available at www.TheAmazingMax.com or by phone at 866-811-4111. Performances: November 29 and November 30 at 1pm and 3pm. December 1 – January 5, Saturdays at 11am and Sundays at 1pm. Additional holiday performances have been added on the following dates: December 23, 24, 26, 27, 30, 31 at 1pm and December 26, 27, 28, 29 at 3pm. For more information on The Amazing Max and the Box of Interesting Things, visit www.TheAmazingMax.com. Max Darwin was born to perform. He began charming audiences at the young age of 5 months, traveling all over the United States alongside his parents who were professional street performers specializing in clowning, mime, juggling, and magic. Throughout the years, Max has emerged as one of the most sought-after magic artists in the country. He performs hundreds of shows a year with a client roster including notable celebrities such as Uma Thurman, Diana Ross, William Baldwin, Steven A. Cohen, Chazz Palminteri, Ethan Hawke, Jeremy Sisto, and Tommy Hilfiger. 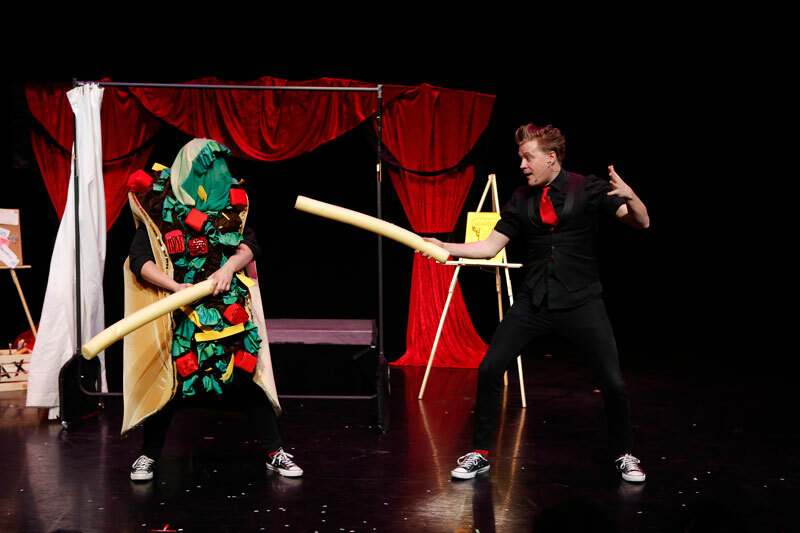 Currently Max can be seen as a guest artist and magic consultant on Season 3 of BRAIN GAMES, airing on National Geographic Channel. 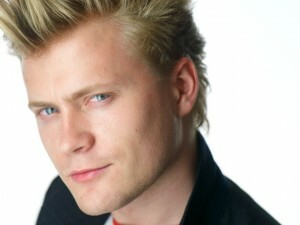 His TV credits also include hosting the hit Nickelodeon show GAME FARM! He has also appeared in various national TV commercials for products like Axe Body Spray, Verizon, Bank of America, and Coca-Cola. He also released his first instructional magic video, “Magic in Minutes”, where Max teaches kids ages 5 & up how to fill their everyday lives with wonder and perform magic with ordinary objects found right in their own home.